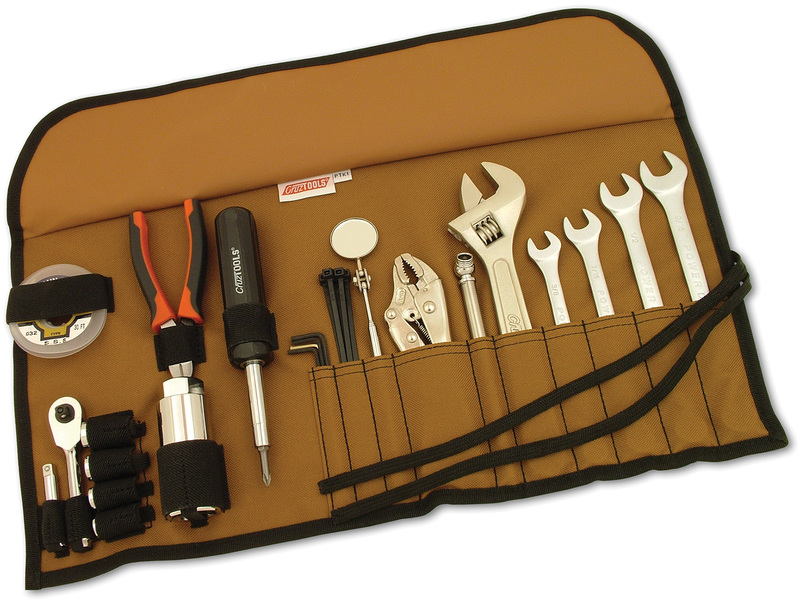 Developed specifically for general aviation aircraft, this tool kit is a must to keep in almost any airplane. 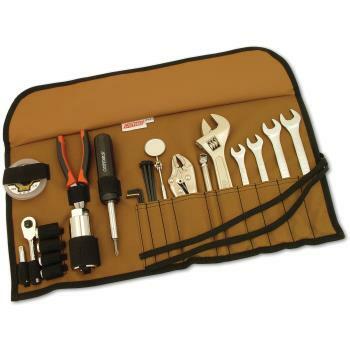 The PTK1 Pilots Tool Kit has the most commonly needed tools and components to help get you going, including a set of combination wrenches, locking pliers, 8” adjustable wrench, tire pressure gauge, 6-in-1 screwdriver, hex wrenches, diagonal cutters, and a mini-ratchet/socket set. Also included is a special aviation spark plug socket that fits all major spark plug makes, a telescopic mirror, cable zip-ties, and a roll of .032 safety wire. Everything is organized in a tough, easy-to-store roll-up pouch weighing just 3.5 lbs. These tools are lifetime guaranteed and are professional quality, making this the ideal go-to tool kit for the airplane or the hangar.